First of all, the cover and title confuse me. The font looks more Greek than geek, and … what is that pile of blue? And … Arsenic? I don’t think the poison is ever even mentioned in the book, much less used in a murder. That’s just bizarre. I feel, in a way, that I should give this a higher rating just for being the first novel I’ve come across that made use of a Renaissance Faire without making rennies out to be freaks or idiots. What there is of the Faire is rendered affectionately; it’s supposed to be something Mia (the Geek Girl of the title) loves very much, as well as where her family’s business has a home. Although in all my years involved with Faire, and hanging out on the Wenches Guild website, I don’t believe I ever once saw anyone use the word Mia constantly uses: “costume”. Not without being corrected, at least. It’s “garb”, thanks. The, er, costuming in the whole book kind of puzzles me; Mia’s sister prances about in clothes that gave me great pause. “Her black satin corset and boots were topped off with a red ruffled miniskirt that opened in the front. The giant scarlet plume in her hair danced happily in the breeze.” That’s more Tombstone than Camelot, no? 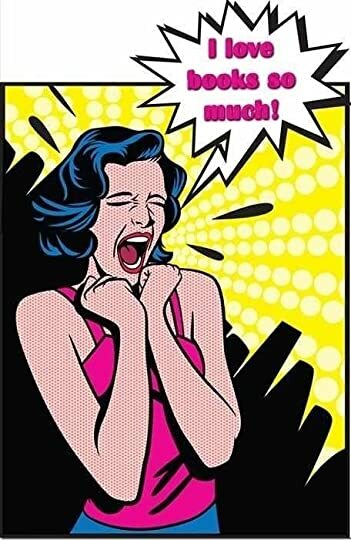 I have to say I wasn’t entirely convinced by the “geek” aspect of “Geek Girl”. Mia is supposed to be a Rennie, a gamer, fan of all the usual Geek thangs: “I … patted the tabletop blindly in search of my precious.” “Adrenaline burned through me like I’d just won a trip to space. On Serenity. With Mal.” That’s adrenaline. While I don’t think I’d want something like that in every paragraph, but … in my life, there are a lot of references. I quote my favorites all the time, whether it’s recognized by whoever I’m talking to or not; if nothing else, the connections and references are in my head. For example, Ben Aaronovitch’s Peter Grant series is riddled with geek culture – probably a ton I don’t even catch – but without it taking over the book. It’s a joy. It’s what I missed here. And the Renaissance Faire felt like something she put on and took off, rather than anything that lived under her skin. It’s funny, too, that Mia turns out to be an introvert: “’Sounds fun.’ For someone who didn’t mind a party or group settings where they knew no one.” That right there is one of my worst nightmares (see my review for Quiet) – and I never had that impression of Mia until that line came up. Oh, and she has an eidetic memory. This tidbit is dropped into the middle of a conversation, but has no anchor anywhere in the story. I’m still trying to work out the idea of Hester Prynne as a sexual deviant. One more nitpick. The book went from Mia telling her twin sister: “‘Your body looks different than mine now because it did a powerful, miraculous thing. You pushed an entire princess from your loins'” to the two of them switching places with no one noticing. It was annoying. Okay, one more: can you really write straight on a papyrus leaf? However, Mia also commits the usual blunders of the cozy detective: not doing as she’s told even when it’s really, really stupid to not do as she’s told; sharing information which she is specifically told not to tell anyone, going where she really shouldn’t, etc. As so often happens (and why, I wonder? It doesn’t really make sense to me) the wrong homophones were used rather frequently – liable for libel, and so on. Hopefully it’ll all get fixed. I will definitely pick up the first book at some point, and look forward to the series – and the characters, and the author – growing. I picked up a new phrase, though, which I think I’ll be using whether I really want to or not: “On it like a bonnet”. 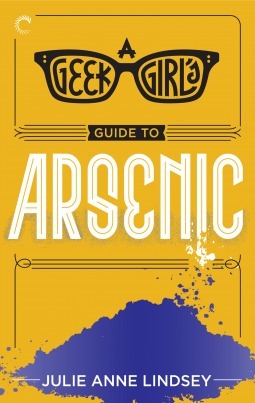 This entry was posted in books, mystery and tagged A Geek Girl's Guide to Arsenic, Cozy mystery, Julie Anne Lindsey, Mia Connors, mystery, Renaissance Faire. Bookmark the permalink.